A list of famous French people from Joan d’ Arc to Zinedine Zidane. Joan of Arc. (1412–1431) A young peasant girl, Joan of Arc helped inspire the Dauphin of France to defeat English forces occupying France. She was burnt at the stake by the Church for heresy. 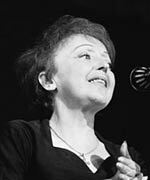 Seven years after her death, France was liberated as she predicted. René Descartes (1596–1650) Influential philosopher and mathematician. Dubbed the father of modern philosophy, Descartes was influential in a new rationalist movement. 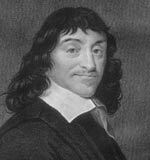 Descartes used reason to examine questions of religion and nature. Blaise Pascal (1623–1662) French mathematician, philosopher and inventor. Pascal worked on projective geometry and corresponded with Pierre de Fermat on probability theory. Pascal’s Triangle is a term given to his presentation on binomial coefficients, (“Treatise on the Arithmetical Triangle”) of 1653. Louis XIV (1638–1715) ‘The Sun King’. Louis XIV was King of France from 1643 until his death 72 years later. He is the longest-serving monarch in European history, setting the tone for Seventeenth-Century France. Voltaire (1694–1778), was a French writer, essayist, and philosopher known for his wit, satire, and defence of civil liberties. He sought to defend freedom of religious and political thought, and played a major role in the Enlightenment period of the Eighteenth Century. His satire helped ferment opinion to support a revolution. 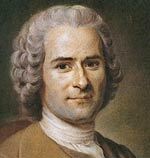 Jean Jacques Rousseau (1712–1778) Rousseau was a political philosopher who was widely known for his Social Contract (1762), which sought to promote a more egalitarian form of government by consent and formed the basis of modern Republicanism. 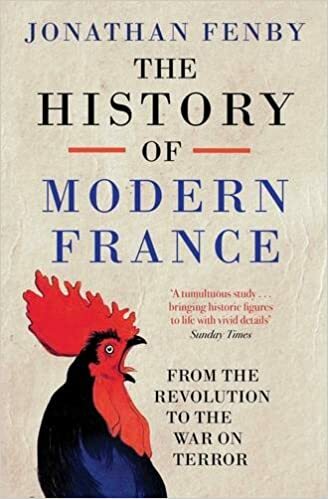 It was influential in the French Revolution. Denis Diderot (1713–1784) Philosopher and writer. 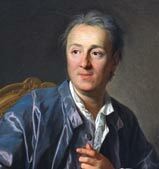 Diderot played a role in the Enlightenment. 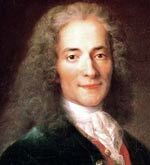 Initially a follower of Voltaire, he moved towards atheism and materialism. 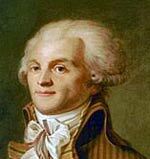 Maximilien Robespierre (1758–1794) was a French lawyer and politician, and one of the best-known and most influential figures of the French Revolution. 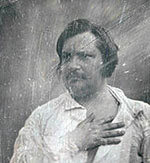 Honore de Balzac (1799–1850) French novelist and short story writer. Balzac was an influential realist writer who created characters of moral ambiguity – often based on his own real-life examples. His greatest work was the collection of short stories La Comédie Humaine. 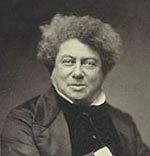 Alexandre Dumas (1802–1870) Author of historical dramas such as The Count of Monte Cristo, The Three Musketeers, and the Marie Antoinette romances. 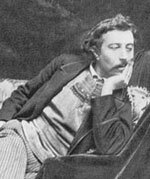 Dumas was a larger than life character and an influential writer. 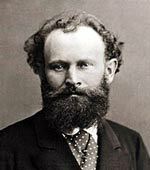 Victor Hugo (1802–1885) Perhaps the greatest French author. Noted for his poetry and novels. 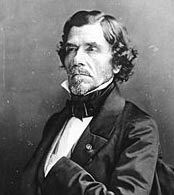 His novels include Les Miserables (1862), and Notre-Dame de Paris (1831). Also became a leading Republican. 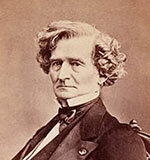 Hector Berlioz (1803–1869) French composer of the Romantic period. Among his works are his Requiem for 210 voices Grande Messe des morts, and Symphonie Fantastique. 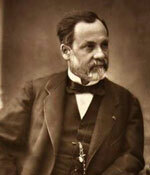 Louis Pasteur (1822–1895) Contributed greatly towards the advancement of medical sciences developing cures for rabies, anthrax and other infectious diseases. Also enabled the process of pasteurisation to make milk safer to drink. 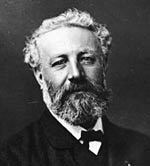 Jules Verne (1828–1905) Author of science fiction and adventure novels such as Journey to the Center of the Earth, Twenty Thousand Leagues Under the Sea, and Around the World in Eighty Days. Gustave Eiffel (1832–1923) Civil engineer and architect who built the Eiffel Tower. Eiffel also built many railway viaducts in the railway boom years. 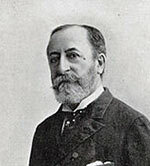 Camille Saint-Saëns (1835–1921) French composer, conductor and pianist of the Romantic era. Saint-Saëns was a strong French patriot and had an influential impact on the growth of French music in the classical tradition. 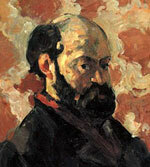 Paul Cezanne (1839–1906) French post-impressionist painter. Famous paintings include; Les Grandes Baigneuses, and The Overture to Tannhäuser: He is considered a bridge between Impressionism and Cubism. 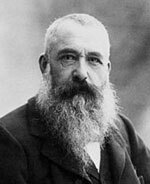 Claude Monet (1840–1926) French impressionist painter. 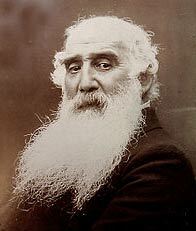 Monet was the leading impressionist of the Nineteenth/early Twentieth Century. His paintings, such as Waterlilies, were highly influential in the development of modern art. 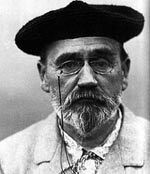 Émile Zola (1840–1902) Author, playwright and journalist. Leading figure of the Nineteenth Century naturalist movement. Played a key role in exposing the Dreyfus affair. 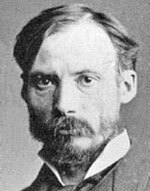 August Renoir (1841–1919) French painter, one of the early pioneers of Impressionism. Also influenced by Italian renaissance. Famous works include The Theater Box (1874), and The Swing (La Balançoire), 1876. 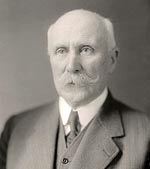 Georges Clemenceau (1841–1929) French Prime Minister from 1917–1920. 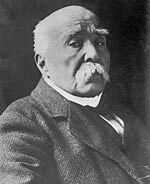 Clemenceau, known as the “Tiger”, was a key figure in holding French resolve to fight for total victory during the last years of the First World War. He took a harsh position at the Treaty of Versailles, demanding reparations from Germany. 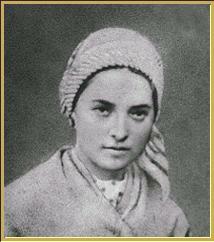 Bernadette Soubirous (1844–1879) Peasant girl from Lourdes who reported seeing visions of the Virgin Mary. Later became nun Marie Bernard and was canonised after her death. 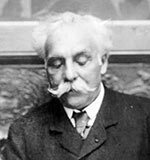 Gabriel Fauré (1845–1924) French composer of the late Romantic period. Fauré composed intimate Chamber music and many compositions for the piano. 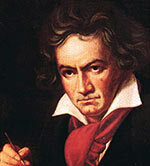 Famous works include Pavane and Requiem, and piano pieces, such as “Clair de lune” (“Moonlight”) Op. 46 No 2. Paul Gauguin (1848–1903) Post-impressionist painter, who contributed to the growth of avant-garde painting. Gauguin also had a temperamental relationship with Van Gogh. Marshal Phillipe Petain (1856–1951) French general who helped defend Verdun and maintained the morale of the French army during the difficult mutinous years of 1917. In 1940, Petain negotiated the surrender to the Germans and was head of state of ‘Vichy’ France which collaborated with Nazi Germany. 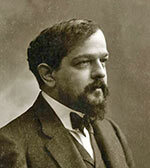 Claude Debussy (1862–1918) French composer of impressionist music.Famous works include: Clair de Lune (from Suite Bergamasque), Reverie (1890) and Prélude à l’après-midi d’un faune. 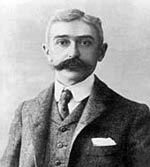 Pierre de Coubertin (1863–1937) French educator and historian, and founder of the International Olympic Committee. He is considered the father of the modern Olympic Games, helping with the first Olympic games of the modern era in Athens (1896). Henri de Toulouse-Lautrec (1864–1901) Painter, printmaker, draughtsman and illustrator whose immersion in the colourful and theatrical life of Paris in the late 1800s became the substance of his work. 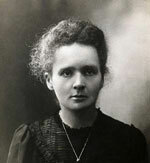 Marie Curie (1867–1934) Great scientist who helped discover radiation. She helped to implement many X-ray machines during the First World War. Won the Nobel Prize in both Chemistry and Physics. 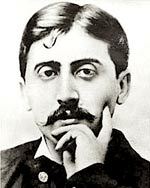 Marcel Proust (1871–1922) Author, critic and essayist. Famous for his work À la Recherche du Temps Perdu (In Search of Lost Time). Coco Chanel (1883–1971) One of the most innovative fashion designers, Coco Chanel was instrumental in defining feminine style and dress during the 20th Century, especially in the 1920s, where she helped women to dress in more practical clothes. 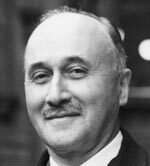 Jean Monnet (1888–1979) was a French statesman who played a key role in founding the Coal and Steel pact which helped improve relations between France and Germany. He also successfully lobbied for the creation of the EEC ‘Common Market’ in 1958. 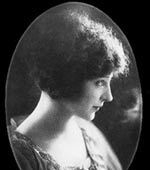 Anaïs Nin (1903–1977) French-born American writer, author of journals and literary works. Important in the rise of the feminist movement of the 1960s. 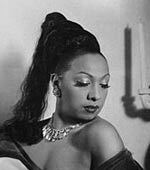 Josephine Baker (1906–1975) was an American-born French dancer, singer, and actress who came to be known in various circles as the “Black Pearl”. Simone de Beauvoir (1908–1986), French writer, intellectual, existentialist philosopher, political activist, feminist, and social theorist. 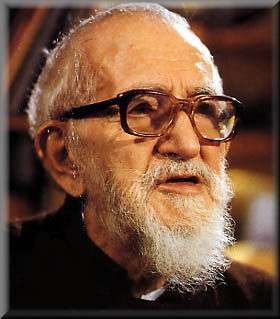 A bbé Pierre (1912–2007) Catholic priest. He was a member of the resistance during WWII. After the war, he became involved in humanitarian charities, especially Emmaus which sought to help the homeless. 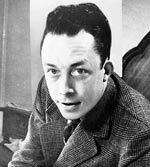 Albert Camus (1913–1960) Nobel Prize-winning author, journalist, and philosopher. Associated with existentialism and absurdism. 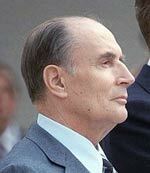 François Mitterrand (1916–1996) was the 21st President of France serving from 1981 until 1995. Leader of the Socialist party. Jacques Anquetil (1934–1987) Professional cyclist. First to win the Tour de France five times. He was known for his strength in time trials. Brigitte Bardot (1934– ) French former actress, singer and fashion model, at the height of her career she was regarded as one of the most beautiful women of the time. From 1969, her image was used in representing Marianne, the symbol of France. After retiring from acting, she became an animal rights activist. Jeannie Longo (1958– ) Nine times World Road race cycling champion, over the period 1985 to 2001. Gold in 1996 Olympics. 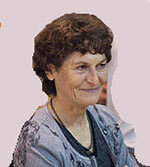 Longo was one of the greatest female cyclists of all time and one of France’s most successful Olympians. 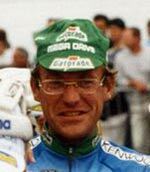 Laurent Fignon (1960–2010) Professional cyclist. Winner of Tour de France on two occasions, just missing out on a third win after being beaten by Greg Lemond by 8 seconds. 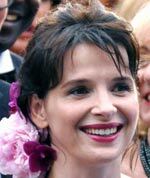 Juliette Binoche (1964– ) French actress, artist and dancer. Zinedine Zidane (1971– ) Professional footballer in 1998 World Cup and 2000 European Cup winning team. Citation: Pettinger, Tejvan. “Famous French people”, Oxford, www.biographyonline.net 15th December 2013. Updated 12 September 2017. Famous Dutch A list of famous people from the Netherlands. 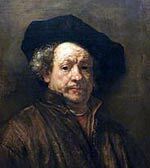 Includes; great Dutch painters, such as Rembrandt and Vincent Van Gogh; philosophers Spinoza and Erasmus. Also Dutch sports stars, such as Johan Cruyff.